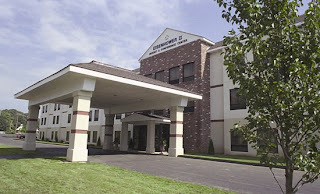 Later in the day, we arrived and checked in at Eisenhower Hotel, approximately 4 miles south of downtown Gettysburg. I can say the hotel is really one of a kind...with a breathtaking view. The neighborhood is peaceful and quiet as it is more located in the countryside. You won't get bored because of the wide vicinity and spaceous garden surrounding the hotel, so much place for a walk if you're fond of doing it :). 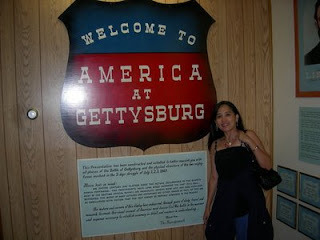 If you love history, then Gettysburg is an ideal place to go to. 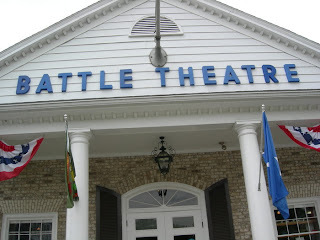 Usually, it's always recommended to start your itinerary by visiting the Gettysburg Battle Theater to see the "experience". 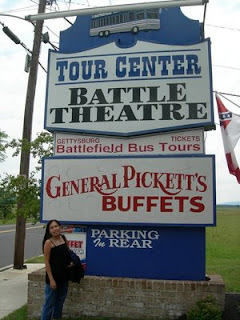 It is the most complete way to see and understand the Battle of Gettysburg. If you don't like dealing with history, it's not wise to go and visit...you'll get bored and sleepy! (My husband fell asleep inside the theater, LOL!). But if you really love to become a historian, then you're on the right track. 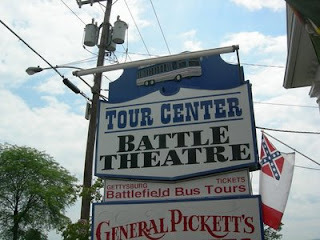 The highlight of the tour is to go on the Gettysburg Battlefield Bus Tours, which lasts for 2 hours. The tour will bring your senses with canons roaring, rifles crackling, with drums rolling, etc..through a dramatized audio tour while inside the bus. If you prefer to do this kind of tour privately with your own car, you can purchase a CD for Auto Tape Tours which you can play it in your car and instructions would just guide you to where you should go. There are more historic attractions to visit at Old Town Charm as well. Just visit the site online for a more complete information on tour itineraries and package plans.